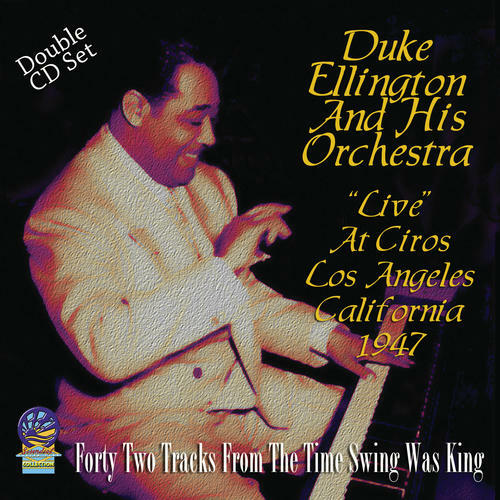 (2-CD set) These interesting and highly collectable recordings come from a series of “Live” broadcasts made By Duke Ellington and his Orchestra during a stint at Ciro’s Restaurant in Los Angeles, California. The “live” recordings were made originally for the Armed Forces Radio Service Spotlight Band Shows and there are also three ABC broadcasts from the same venue all made in a period spanning from July to August 1947. As can be seen from the personnel listing the Dukes noted session men are all present and give fine performance of numbers both familiar and many not so familiar.